A profoundly passionate affection for the City of Buffalo. A feeling of warm and personal attachment for the people, places, traditions, culture and history of Buffalo. A Western New York city toward which love is felt; beloved city. Ex) Thousands proudly show off their BuffaLOVE by wearing t-shirts branded with a buffalo and heart logo. Circa 2008. 42.8864° N, 78.8786° W. American English, Buffalo Slang. Early appearances of the word BuffaLOVE came on facebook posts and twitter hashtags, and of course, on clothing, turning the theme into an apparel sensation. Regretfully my research couldn’t trace ownership of the word to any individual or group. My tip of the hat to the creative mind or minds behind it. It’s a pure and relevant way to convey the meaning of our local pride and state of mind. A beer on me should our paths ever cross. BuffaLOVE has widely become part of many people’s vernacular, but now that I’ve formally documented the definition of the word it’s time we celebrate it and its meaning with a festival. It’s Buffalo, what else would we do? On May 31st, BuffaLOVERS will get an opportunity to break bread (and tacos) at the Buffalo Zoo as it hosts the BuffaLoveFest; a collection of all things Buffalo. This inaugural festival came about through a good friend of mine, Tom Muraca, who concocted the idea during one of his many inspirational daydreams. Through his involvement with the ProZoo board, the idea quickly turned into reality, as the zoo was not only a great venue, but they were eager to partner on the initiative. 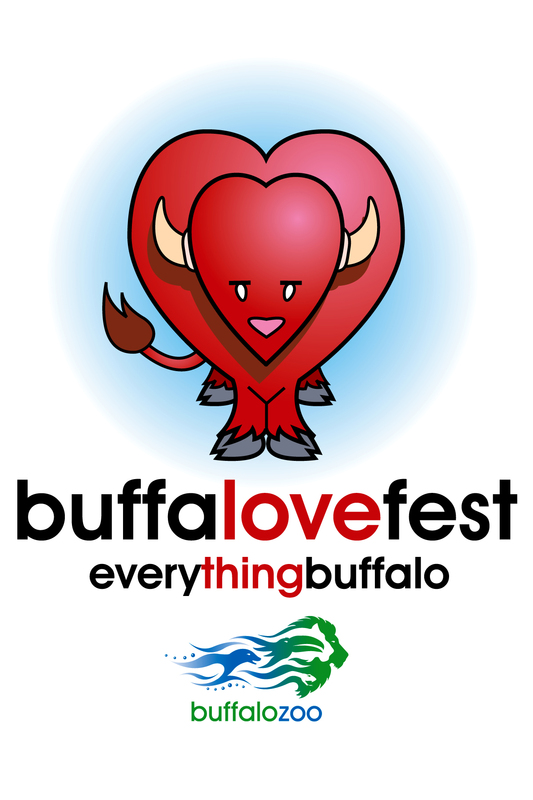 The BuffaLoveFest will feature everything from Buffalo music on two separate stages to a celebrity dunk tank! I’d be remiss for writing this blog without planning to attend. I’m thrilled we have yet another reason for the masses to herd to North Buffalo. I expect to overindulge in food truck food and locally brewed beer (don’t worry, it’s a short walk home to Hertel), scream many incorrect answers to Buffalo Trivia questions, and just bask in the goodness that is a Buffalo festival. So logistics. May 31st. Party starts at 5:30 p.m. and for those who wisely buy in advance, tickets are only $20 as opposed to $30 at the door. If you’re into adult beverages, NOTE, you will also receive two free drinks with your ticket purchase. HEYO! Visit BuffaLoveFest.com for more info and to purchase tickets. See ya there!